After trying out a pair of Blundstone 1312 boots, Matt has stuck to a few of his original opinions on the shoe along with some pleasant surprises. Read on for his review. Durability: This is a well made shoe. For starters it has a rubber sole unlike many other paddock boots which have a sole that will wear through relatively quickly. Sometimes other paddock boots have a thin rubber tread to protect the sole which rarely lasts. I do a lot of my own care for my horses and that includes cleaning stalls and washing off horses after riding. From this point of view I like the boot. Comfort: The boot slips on easily and breaking them in was easy enough especially as slip on paddock boots seem to hurt around the ankle while breaking in where these were painless from the first time i wore them. 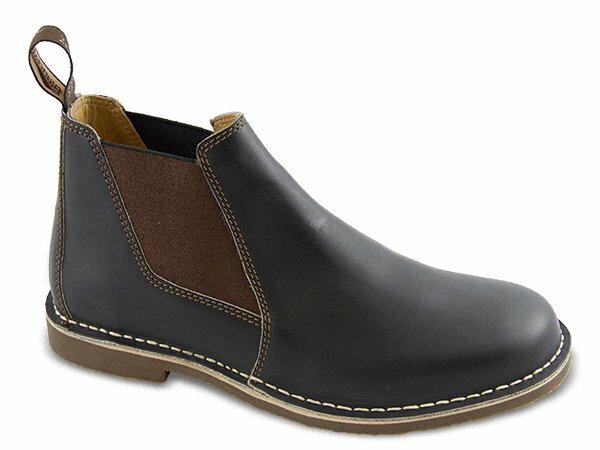 I usually buy paddock boots with a zipper as I have wide feet and high arches, but these are easy on/off without feeling as though the ankle area is loose. Riding: Although the newer stirrups are wider than the older style i still have a hard time putting them into the stirrups and I ride in both english and western tack and find myself turning my foot at an angle to "shove" them into the stirrups which makes me worried if i needed to hop off in a hurry. Also when i wear a spur it's hard to get the spur strap around the front of the boot and around the ankle. I broke a spur strap trying to pull it on just yesterday. To summarize, the boot I will say I like certain aspects of the blundstone and if we are going with the the form vs function factor then the boots get a 2 thumbs up in the function category. I am hard on shoes and have worn these for 3 weeks now daily and never worry about my feet getting wet or small holes.